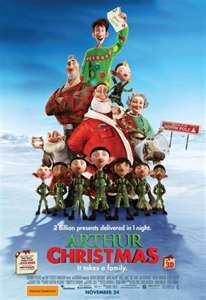 Posted on November 25, 2011, in Movie Reviews and tagged Arthur Christmas, Christmas, Santa Claus. Bookmark the permalink. 3 Comments. Congratulations on getting this new opportunity. This is such a great new challenge for you and I know you will be spectacular like in everything else you do. You are such an amazing young lady and you continue to inspire all around you with your hard work and giving heart. Thank you both, Mr. K and Natty, for your encouragement. You guys are the best pen pals I could ask for. I know God is expanding my territory and blessing me with so many new opportunities. How has your Thanksgiving been, Natty?